Jim Bohart, a marine industry veteran for nearly 30 years, died July 13 at age 57. His wife, Karen, was at his side. Always quick with a joke or a story to tell, Jim Bohart was beloved in the marine industry, friends recalled. He grew up in Florida, learning to fish, dive and sail — and, at one time, he worked on the Atocha shipwreck project with famed treasure hunter Mel Fisher. After leaving the Navy in 1985, Bohart joined the Naval Reserves and served six more years. 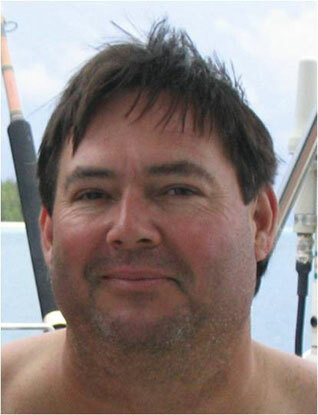 In 1991, Bohart joined Hunter Marine, as regional sales manager. At one time or another in his career there, he covered the entire U.S. and Canada, helping establish new dealers and maintain current dealers. In 2000, Bohart’s relationships in the industry and his experience brought him and his wife of 20 years, Karen, to Marina del Rey, to work for one of the local dealers. Bohart later joined and was instrumental in the rebuilding of Sailboats Inc. Under his leadership, Bohart and his team grew Sailboats Inc. into one of the top 10 dealers for Beneteau USA, receiving the Top Gun Award, and later, the President’s Award. In his career, Bohart sailed all over the world to “evangelize” and grow sailboat ownership and loyalty, from the Eastern Seaboard to the Bahamas, the British Virgin Islands, Tahiti, California, Mexico, the Pacific Northwest, the Great Lakes and smaller lakes throughout the U.S.
California had been a good move for the Boharts, and here, Jim became an avid fly-fisherman and hunter. However, his heart always remained in Florida. In 2010, the Boharts returned to the Gainesville, Fla. area, where he briefly rejoined Hunter Marine. In addition to his wife, Karen, Bohart is survived by one son, Clayton, 23. When we spoke to Jim in 2008? He said he’d never had a bad day in his life, that’s how we will remember him tall guy sailing and having the best day of his life!